What do older people with learning disabilities say about their lives and their hopes for the future? 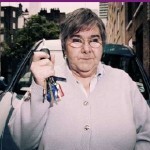 Home » Posts » Publication types » report » What do older people with learning disabilities say about their lives and their hopes for the future? People with learning disabilities are living longer. A recent update of the estimates of need for social care services by the learning disabilities public health observatory (IHAL 2012) suggested that by 2030 the number of adults aged 70+ using social care services for people with learning disabilities will more than double. Some years ago, the Growing Older with Learning Disabilities project began to look at some of the issues associated with supporting people as they aged. The Older Family Carers Initiative which followed, drew attention to the issue of people living with older carers and the additional concerns that this raised. In this paper, the Joseph Rowntree Foundation looks at what people with learning disabilities themselves and their families are saying about getting older and what is most important to them in later life. The paper includes insights into the unique life experiences of older people and their families as well as reports on projects such as the Growing Older with a Learning Disability (GOLD) group and from older families from the Sharing Caring Project. The author also draws attention to the fact that Increasing independence for people with learning disabilities , along with all its advantages, has also brought new risks for example, increased exposure to bullying and hate crime. The author suggests that to meet the challenges of providing good support to o;lder people with learning disabilities, will require a coordinated and informed response across local areas. Working with people who have learning disability and dementia. I find the workforce has little unstanding of learning disability and old age. There is no reconised services to support older people with a learning disablity and their families. Therefore planning is essential! Thanks for your comment. I think the work of the GOLD project and the Older Family Carers Initiative (http://www.learningdisabilities.org.uk/our-work/family-friends-community/older-families-initiative/?view=Standard) provided some really practical advice and tools for planning with people as they grow older. This report also provides some real insight into what people want and what they fear. Hopefully, these tools will help people in your locality with that planning that as you rightly say, is essential. I fully agree with the lack of confident and competent staff to work with older people with intellectual disabilities. I am involved in European project at the moment to develop an online training programme for health and social care professionals. Also for your information, there will be a national conference in Newcastle on 12 June to disseminate the findings of a Grundtvig project on sharing good practice of working with older people with ID. Thanks for your comment. Sorry for the delay in responding, but I have been away for a few weeks. We would be delighted to be part of your dissemination strategy for the findings from the European report. Any learning that we can do across national boundaries is always enormously helpful.